Founded in 1810, family run car manufacturer Peugeot has had a lot of time to design and engineer a range of car models, and is now known for their stylish city cars, family cars and hybrid vehicles. As a specialist car grille supplier, we have been designing and manufacturing premium quality grille sets for Peugeot vehicles for more than 10 years. As well as providing Peugeot owners with the products they need to replace damaged or worn grilles, our brand values have led many major car manufacturers to call on us for assistance. Whether you are looking to source a suitable replacement grille for your 107, 206, 206 GTI, 207, 208, 3008, 307, 308 or 4007 model, the Zunsport team can help. All our grilles have been designed and handcrafted by us, and in addition to complementing the original aesthetics of your vehicle, our Peugeot grilles are easy to fit, easy to maintain and easily affordable. Searching for an easy to install grille set that will blend with the original design of your Peugeo..
As the owner of a Peugeot 107 - Front Grille Set any repair, whether it is damaged or the victim of.. Your Peugeot 206 deserves the very best, and when it comes to something as instrumental to a car’s .. The Peugeot 206 GTI & CC is an iconic vehicle make and model but the overall look wouldn’t be c.. 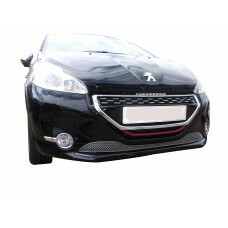 The has been specially designed and developed for your Peugeot 207 (Facelift) - Front Grille Set. ..
As the owner of a Peugeot 207 (Facelift) - Lower Grille any repair, whether it is damaged or the vi..
Finding a grille to suit your Peugeot 207 (Facelift) - Upper Grille isn’t always easy, but here at .. 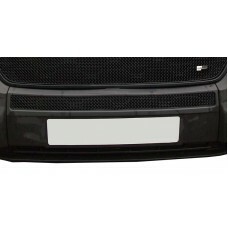 Your Peugeot 207 - Lower Grille (Capped Version) deserves the very best, and when it comes to somet.. The Peugeot 207 - Upper Grille (Capped Version) is an iconic vehicle make and model but the overall.. The Peugeot 208 - Front Grille is an iconic vehicle make and model but the overall look wouldn’t be..